Your Art Maison Gallery and Forum Gdańsk had the honor to bring to life new artistic initiative - Kolektyw Forum. This collective is an association of extraordinary artists creating street art including Tomasz Górnicki, Monstfur, SC Szyman, NeSpoon and Seikon. The main idea was to enrich the space of the city of Gdańsk and to highlight to its citizens that Forum Gdańsk aims to familiarize them with culture, history and contemporary art. Splendid installations created by artist and placed in different spots of the city were the element of street art festival and urban game. 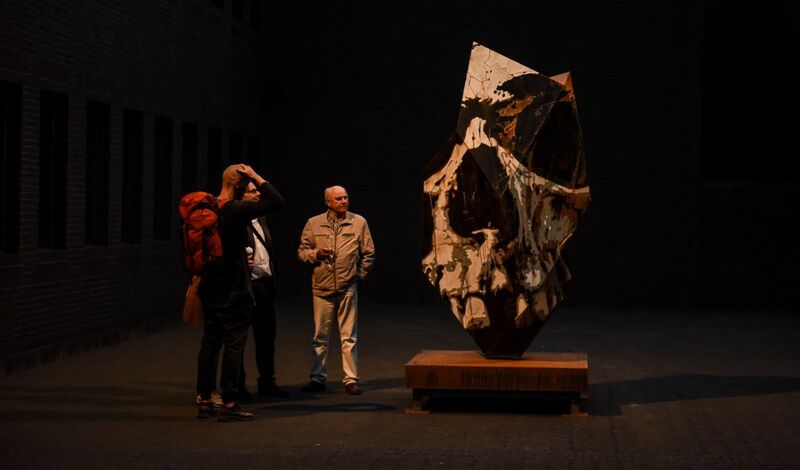 Installations can be seen for couple of weeks in the most interesting places on the map of Gdańsk, including Gdańsk Shekespearean Theatre, Hilton Hotel, Golden Gate and Polish Baltic Philharmonic. In Spring 2018 the installations are planned to be set in the area of a new investment - Forum Gdańsk that is being built. *The event was organized under the tutelage of Your Art Maison Gallery.